The Bionis Leg is the second open area in the game and is of course on the Bionis Leg. This is probably the most well known area for those that have yet to play the game, as it tends to be featured a lot in images. The area is huge, consisting of two separate levels. 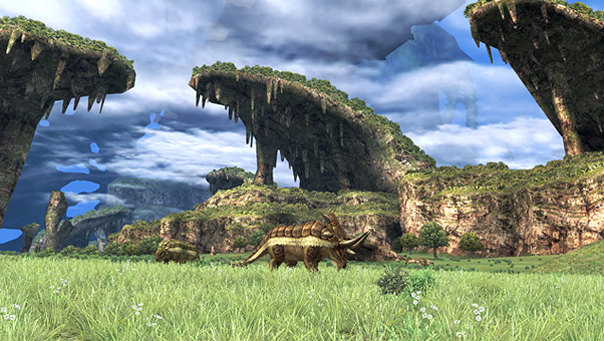 Gaur Plains is the wide field the party will first see when they enter onto The Bionis Leg. There are many kinds of enemies here, and at many different levels. Explorers should be cautious as there are some enemies in certain areas that are well over level 50.